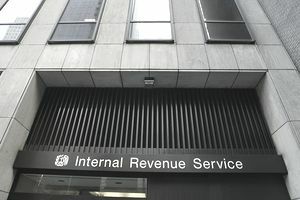 Each year on April 15, post offices around the US fill up with people who have waited until the last possible hours to mail their tax forms to the Internal Revenue Service. Many people file their tax returns in the months preceding the annual deadline, and many file extensions that allow them extra time. Businesses and high-income earners submit tax payments on a quarterly basis, so the IRS needs a stable crew to handle the steady flow year-round. But a significant portion of the agency’s business revolves around the April 15 deadline. To handle the flurry of business in the spring and summer, the IRS hires seasonal employees. These temporary staff process mail, enter data from paper forms, review returns for accuracy and answer questions from filers. These jobs are great for students who need flexible schedules and for retirees who want to keep their work skills sharp but do not want to commit to a full-time, year-round job. Retired tax professionals are frequently hired for seasonal work. What Types of IRS Temp Jobs Are Available? While a high school diploma is required for seasonal IRS jobs is required, experience is not. The IRS provides all the necessary training to new hires. Many seasonal employees come back year after year. The IRS typically posts seasonal jobs in the fall for the next tax season. This gives the IRS the time to complete the hiring process and train new hires. This way, seasonal workers will be ready to tackle their duties when business picks up. Applicants must use the federal government’s job application portal USAJobs to apply for open positions. All federal agencies use USAJobs, so the process applicants go through for a seasonal IRS job is the same as any other federal job. USAJobs allows applicants to track the status of submitted applications. Agency human resources professionals have incentives to keep applicants informed through the portal. Instead of calling the agency HR office every few days to check on an application’s status, applicants can log into USAJobs and get the latest information.